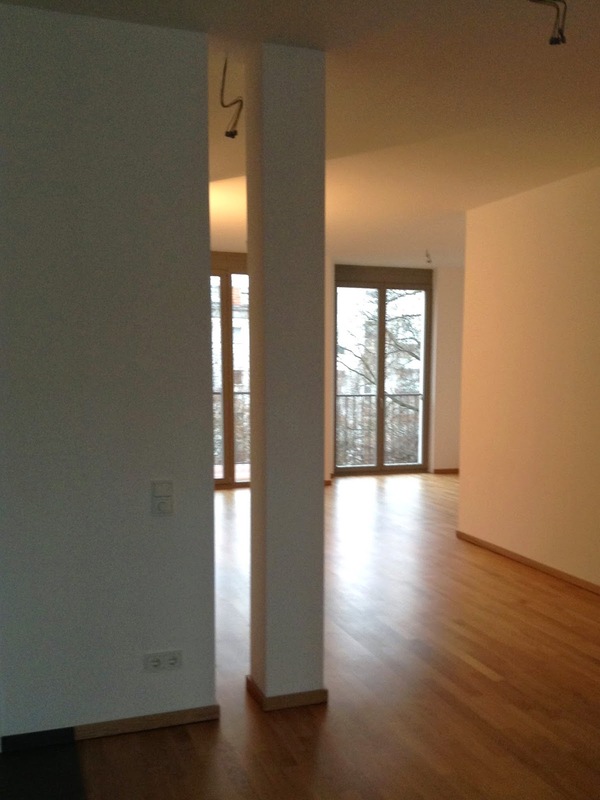 This flat in Berlin was an empty shell last year. I was asked to design the interior lay-out. Clients requested: two bedrooms, two bathrooms, a separate kitchen and a pantry. Also, the master bedroom had to be situated at the back. The design was around maximising the living space and stretching it from front to back. The kitchen is off the living area, at the front. We also decided to make a feature out of the two structural pillars, placing the wall behind it rather than between the pillars. Added advantage was that the central part of the flat became wider and less a galley. The interior is a mixture of Biedermeier and understated modern. The floor is a shiny oak, which fits the style of furniture. The lighting rails with LED spotlights unify the space, and run in two partially parallel lines from front to back. The sitting area at the back. Sofa and footstool are new. The next step is to find a solution for the bookcases. 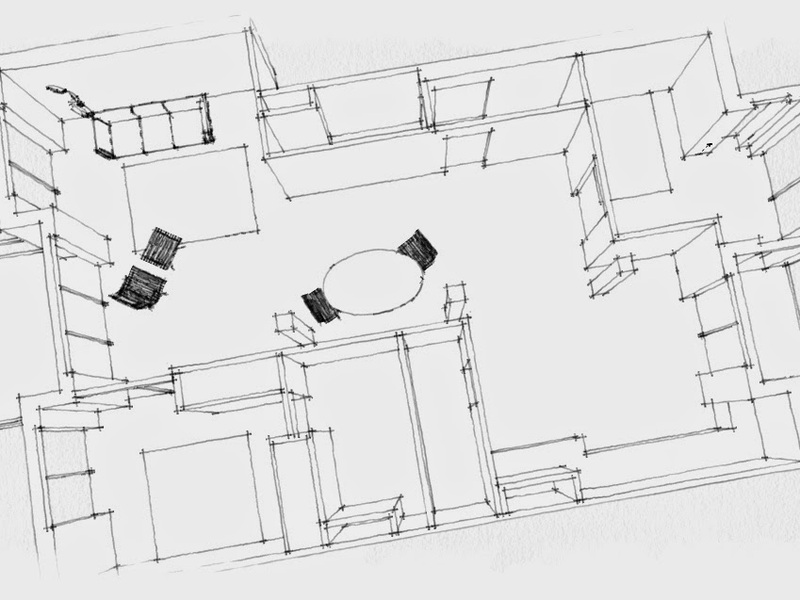 This is a plan of the flat. Bottom left are the master bedroom and bathroom. Top right is the guest room. The second bathroom leads off the main entrance. Balconies are to the front and back of the flat, to the left and right on plan. Last year, after the building works were completed. 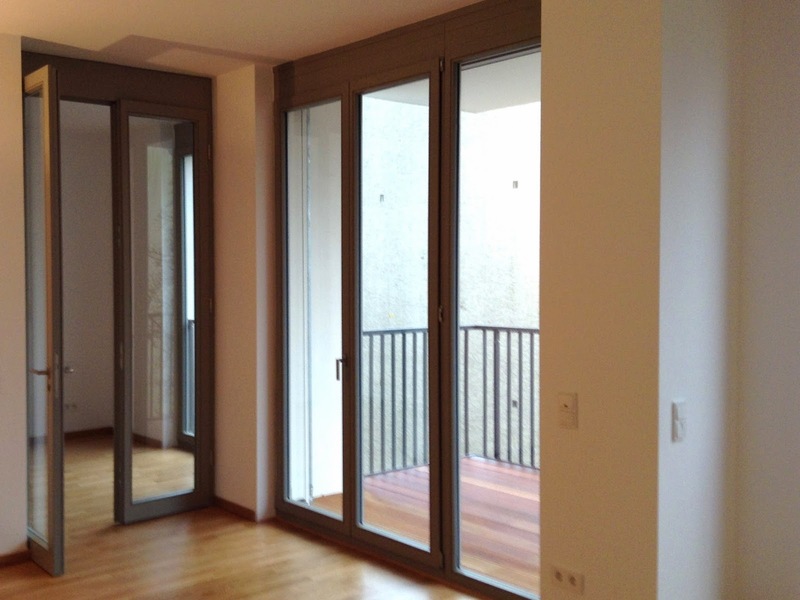 We added double glass doors to the master bedroom in the same style as the outside window frames to deliberately confuse the external-internal wall experience and to allow more light into the flat. The next step is to find a (book) storage solutions, to the flat and to open up the sitting area. In this blurry photo you can see that it is too closed off.